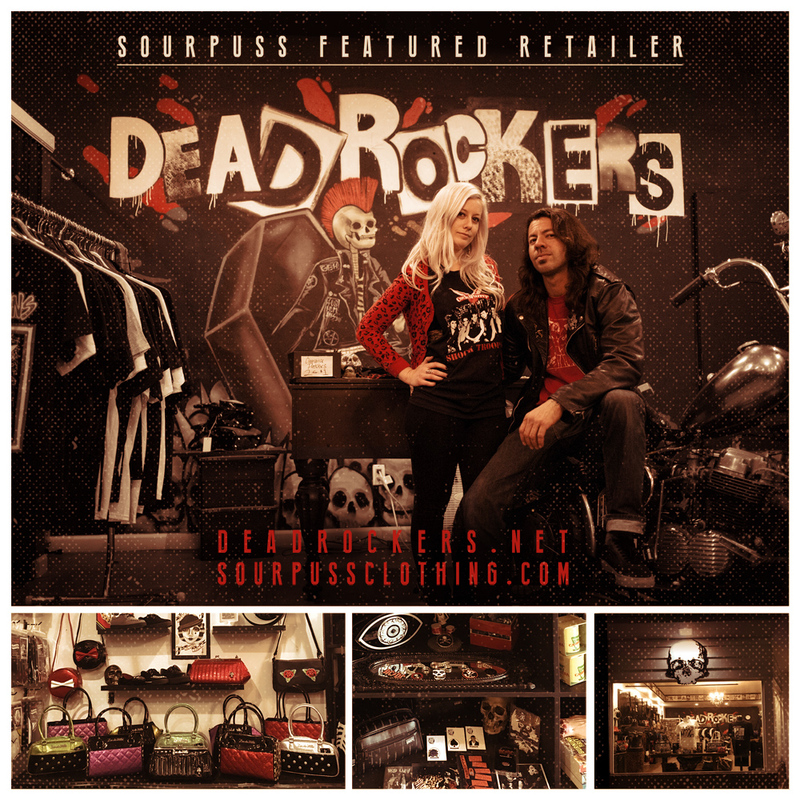 Sourpuss Featured Retailer: Dead Rockers! Posted on October 3, 2016 by Brian Aufdenberg. What is your name, and what is your job title at Dead Rockers? Tell us more about Dead Rockers! When did you open and what's changed since then? 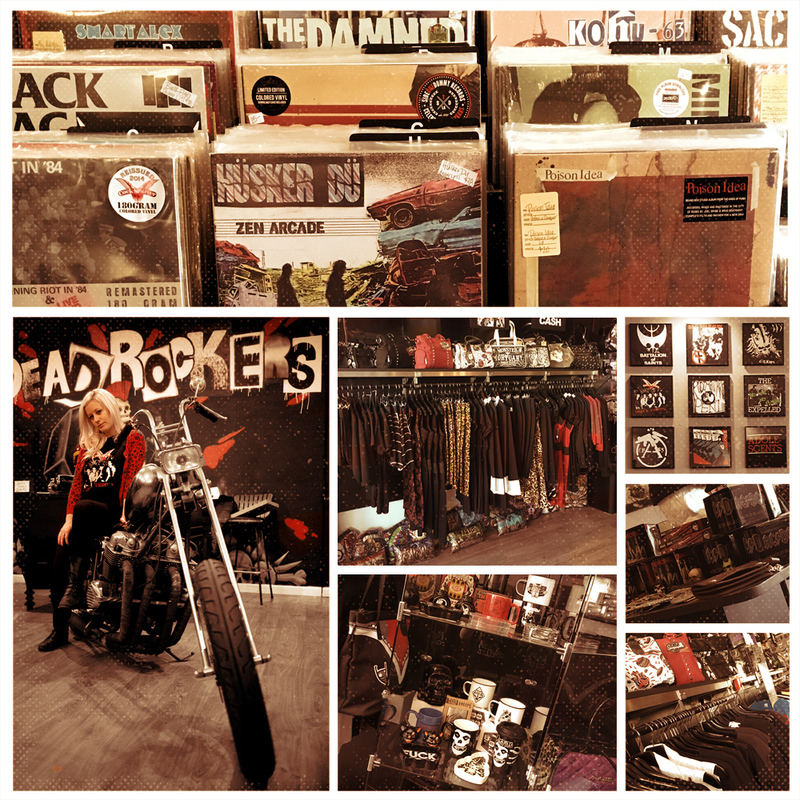 DeadRockers was created in 2005, when many of the punk rock clothing and music shops in Southern California were disappearing. I decided to take matters into my own hands at the age of 18. I had just graduated high school, and began selling merch at local gigs, car shows, roller derby bouts, and anywhere else that would let me set up shop! I started selling online through our MySpace page and launched our first website the next year. In 2011, I opened my first physical retail location in Wilmington, CA. A few years later we got the opportunity to move to the infamous 4th Street, in downtown Long Beach, where we currently reside and LOVE! Earlier this year we moved next door into an even larger location. What once was a small table in the corner at a local punk show selling band merch and music has grown to become an 800 sq. ft. retail shop and online store carrying thousands of products from all over the world. Everything from patches and studs, to shower curtains, dresses, & kitschy housewares! The last few years Dead Rockers has grown tremendously, and it has been such a rad experience to watch my teenage dreams unfold! What did you do before Dead Rockers? I managed a hair salon & did office accounting work for a manufacturing company. I love seeing customers light up when they find something they have never seen or heard before. Especially young kids who get stoked on finding a band shirt or patch they have been searching for, or an album they've been saving up cash to buy. Talking about music and meeting people from around the world is an equally awesome part. I had a lady come by the shop recently who was visiting from the Netherlands and her daughter had given her a list of things she wanted to buy from Dead Rockers, that totally made my day! To be included as a stop on people’s travel list is one of the most rewarding feelings ever. What is your favorite thing to drink when out with friends? I love the bubbly! It's been a sort of motto of mine, "No troubles, just bubbles", I even got it tattooed. I recently discovered Sparkling Sake...AMAZING. I also love spicy Bloody Marys with lots of pickled accoutrement! I love lavender & citrus smells, especially in candles. I also love the smell of fresh glossy postcards and printed material, if you see my sniffing a box of business cards, now you know why. Snakes! And eels, anything slithery without legs really. I can't even walk down the reptile aisle in stores! Have you ever fed an elephant? No, but I'd love to! I've been up close and petted one once; their hair feels like wire! I'm heading to Chicago for the first time ever, to catch the Original Misfits reuniting for Riot Fest! Also excited for some Deep Dish pizza, and to catch a game at Wrigley Stadium while out there. We also have some exciting things in the works for the shop including a Halloween Art Show & new custom built furniture that we will be offering (think coffin book shelves & studded record displays! ).